Hello Sunshine! I just want to share that since I rested my iPhone to switch to an LG G2, life has been better! I have to admit, there are some iOS things that I miss--that fast typing response, the sleek design, the crisp colors, the great selfie camera--but having used my LG G2 for a thousand reason brings me to a conclusion, I've found my match. Frankly, the switch wasn't the easiest one to make; but I can wholeheartedly say that I made the right choice. For a busy blogger like me, my LTE capable, super-performing, LG G2 smartphone is the best thing that ever happened to handheld. Totally blogging on my phone! Totally fun to be productive in style! 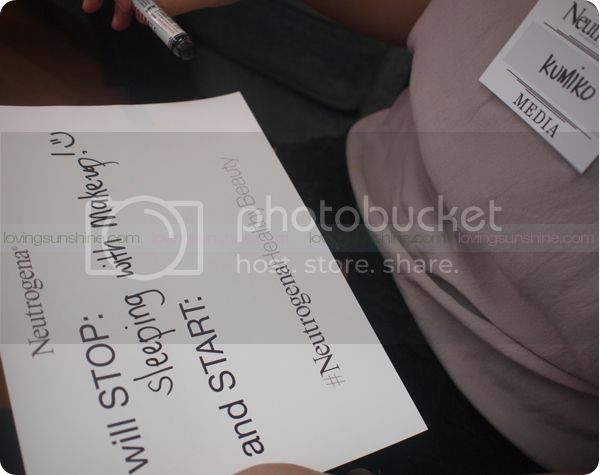 To share, I have some photos from a not-so-recent Neutrogena event where I learned just how much having healthy skin is equal to having beautiful skin! 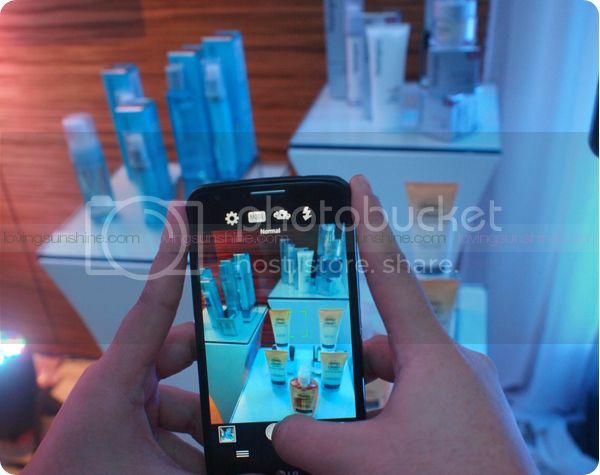 At the Neutrogena event, guests were introduced to the makeup test. 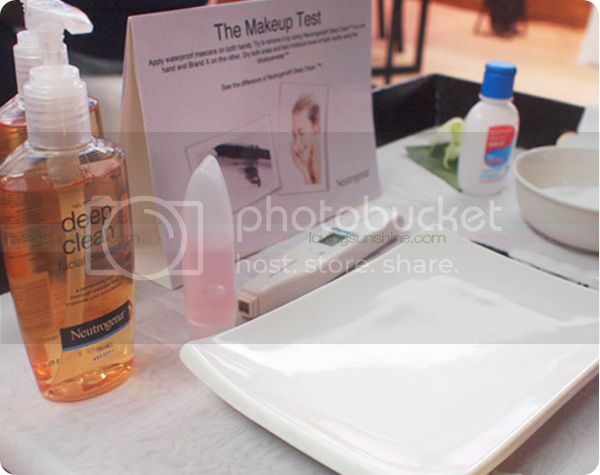 For this test, we experience first-hand how gentle and moisturizing the Neutrogena Deep Clean facial wash is on the skin. First, they swiped a mascara wand on both our hands, then proceeded into wiping the mess with two facial wash: one being the Neutrogena Deep Clean and the other as brand X. To prove Deep Clean's gentleness, they used a moisture sensor device after cleansing. With it I saw/experienced how true to my skin's natural moisture Deep Clean is. Using brand X, my skin moisture scored at 96! 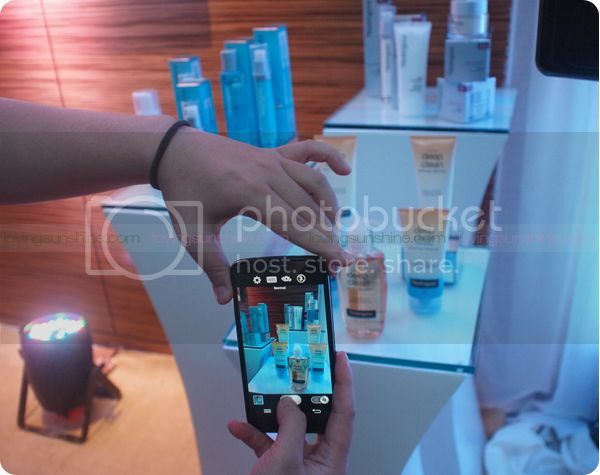 with Neutrogena Deep Clean, my skin moisture was at 99! A week into my Healthy is the New Beauty resolution of not ever sleeping with makeup on, I can say that there is visible smoothness and radiance on my skin. I really am working on keeping my beauty resolution until forever because I can't stress enough how much the skin needs time to breathe from all the dirt and makeup after a long day! For a thorough evening cleanse, I would definitely recommend Neutrogena Deep Clean as I can attest to its effectivity and gentleness. If you have delicate skin, it's also a great choice as it doesn't irritate the skin with harsh ingredients and painful stinging. Do you remove makeup before sleeping too?